They are carnivorous and eat coral and sea anemones. I had a reader leave a message asking for more information about this shell. 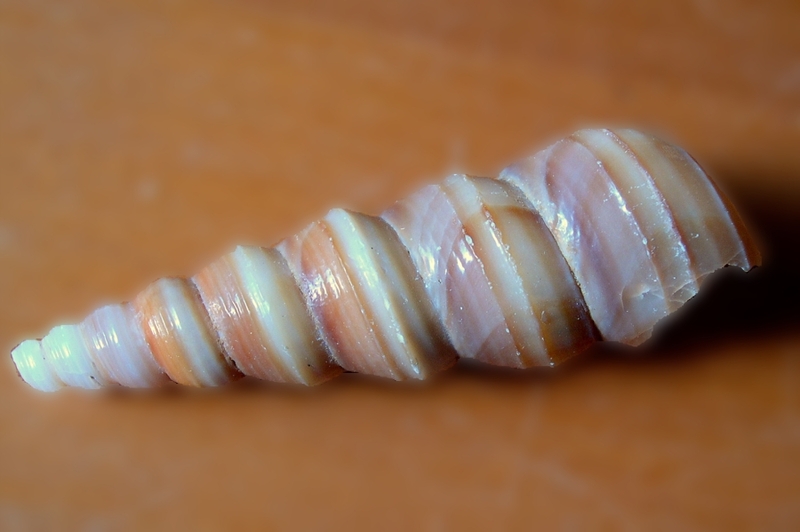 Mainly they are whitish and have a spiral shell like in this picture on Patricia B. Mitchell’s site and at Wikipedia. Mine is shown in the photo below and is 2 1/2 inches long. My reference book lists many types of Wentletraps found along the eastern and western seaboard of the United States but they all appear to be fairly small. I thought it might be the “brown banded wentletrap” but that one is found in the northeastern US more often than in the south (where I found mine) and it’s max length is only one inch. Mitchell’s Wentletrap can be larger – the size of mine, but mine doesn’t’ have the lengthwise ridges and according to this source it is an uncommon shell to find… so I wonder. UPDATE: I believe this is the boring turret shell. See an image from the Bailey Matthews museum in Sanibel. I found a shell just like yours but cannot figure out what it is either! Did you figure it out? I have two. I can send you an image if you like. That is an older post and yes, I now know the shell is a “boring turret shell”. I have updated the blog post with a link to a picture that looks just like mine.